California Pool Care services the residences of Roseville who want to keep their swimming pool in pristine condition. Exceptional customer service, professional work and reliability is what our Roseville pool service customers can expect. We are dedicated to keeping your Roseville pool maintained to the highest level. 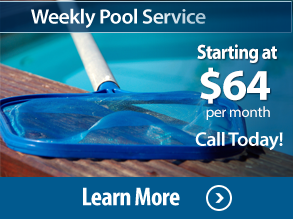 California Pool Care offers many weekly pool service plans to accommodate you budget and the demands of your swimming pool. 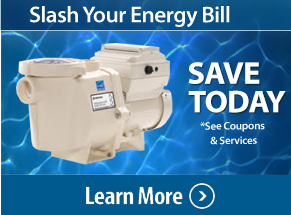 We are also full-service pool repair and pool equipment replacement specialist. From energy efficient pool pump upgrades, pool heater replacement, one time services to swimming pool inspections we can provide you with prompt, professional and reliable service. California Pool Care now services the residences of Roseville who want to keep their swimming pool in pristine condition. Take the time to read some of our customer pool care testimonials. 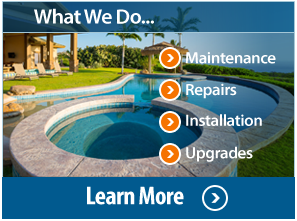 They know that our professional technicians can service, repair, and install whatever is needed to keep you pool operating efficiently, and affording you many hours of enjoyment. We understand the importance of keeping your pool serviced and cleaned throughout the year. Hiring a professional pool care company protects one of your most valuable home investments. We make a commitment to take care of your pool for you and your family. Our knowledgeable staff keeps your pool clean and safe and we ensure we do the job right every time. One thing that will never change is our commitment to providing you with the best Roseville pool service in northern CA.